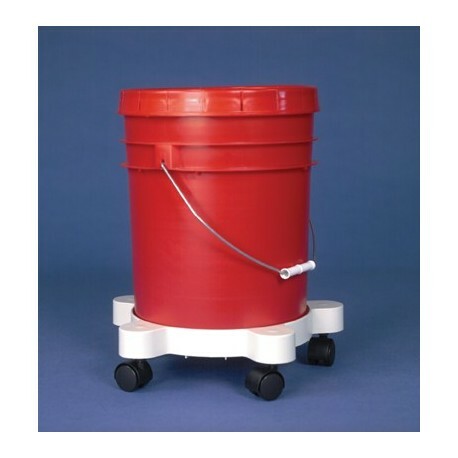 This lightweight versatile WHITE PAIL DOLLY has an 11" I.D. and 5 dual swivel stem casters, 11/2"D x 13/8"W. Weighs 3 lbs. 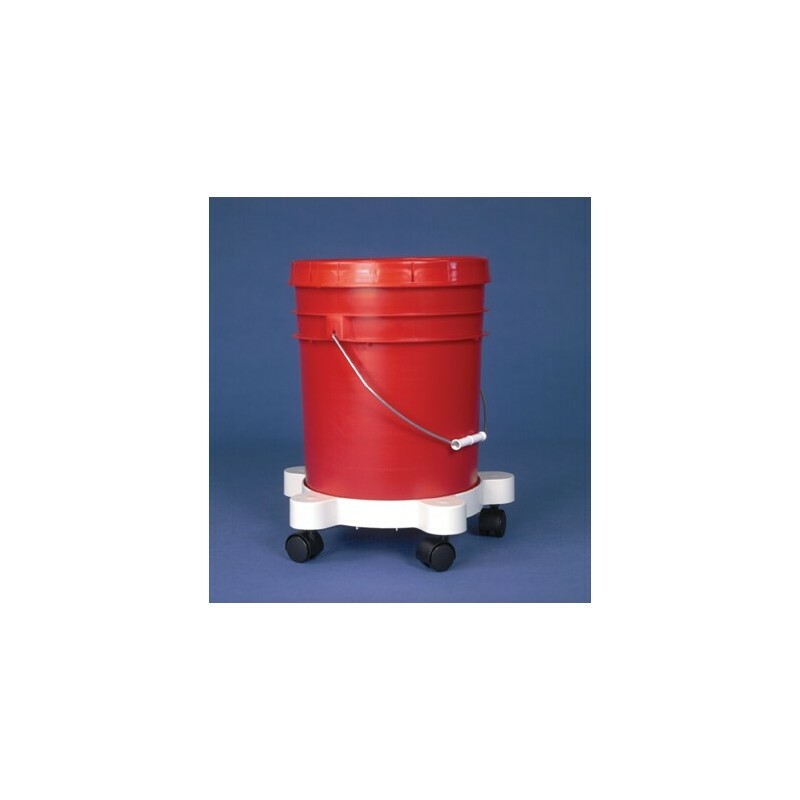 Made of polypropylene for chemical and impact resistance.